Lead petitioners' lawyer, Onyechi Ikpeazu (SAN), at Monday’s proceedings, which lasted from 10am to a little over 5pm, tendered a total of 492 documents – result sheets (EC8A and EC8A – VP) for 27 local governments. 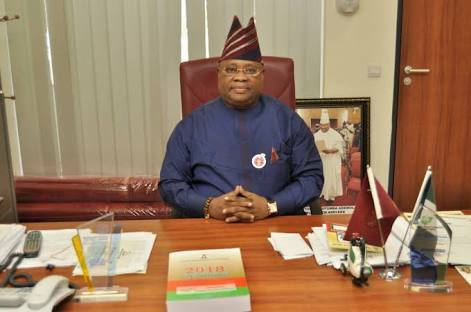 Lawyers to the respondents, Adesina Agbede (for INEC), Abiodun Owonikoko, SAN, (for Adegboyega Oyetola) and Lasun Sanusi, SAN, (for the APC) examined the documents, as tendered by Ikpeazu, Local Government by Local Government, and elected to reserve their objection to the point of final address. The procedure was a bit slow as each lawyer to each respondent took turn to examine the documents per LG, before the tribunal, led by Justice Ibrahim Sirajo, admitted the documents as exhibits, numbering each item from P1 to P492. After tendering the last set of documents from Oshogbo Local Government at about 5pm, Ikpeazu told the tribunal that he was willing to continue. He said he was willing to tender more documents, including voters’ registers from about 12 LGs. Lawyers to the respondents objected to Ikpeazu’s willingness to continue, citing the problem of security in Apo, Abuja, where the tribunal sits. They requested a postponement of further proceedings to the next day. In a ruling, Justice Sirajo agreed with the respondents to adjourn to the next day. He ordered lawyers to all parties to resume at the tribunal at 9am on Tuesday to sort out all the documents to be tendered, before the tribunal sits at 10am. The PDP and Adeleke are, by their petition, challenging the outcome of the election. 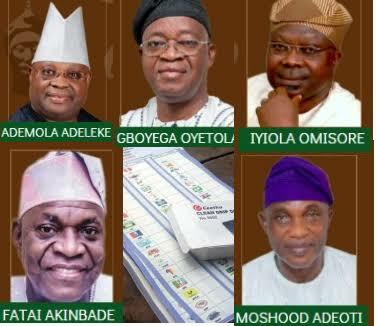 They are querying the victory of the candidate of the APC, Oyetola in the election.